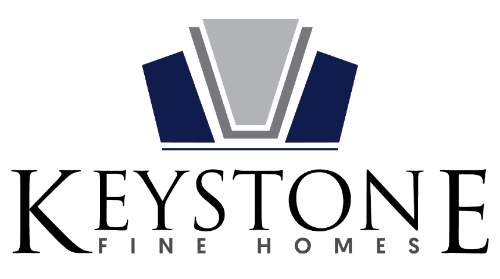 Keystone Fine Homes is dedicated to delivering a quality home and exceptional customer service to every one of our families. Customer satisfaction before and after you move in to your new home is our primary goal. We also provide home remodeling services, specializing in Kitchen and Bath renovation, from tub, tile and counter-top resurfacing to replacement. Our quality and detailed work is what sets Keystone Fine Homes apart. We will ensure that you receive the service you deserve and knowledge you need. Keystone Fine Homes has a growing reputation for quality and trust. At Keystone Fine Homes we have laid out a step-by-step plan that will take each customer from the first construction phase to the final inspection where they are given the keys to their new home. For each phase of construction there is at least one quality checkpoint that must be passed in order to move on to the next phase. Below is a description of our step-by-step plan. Want To Learn More About Keystone Fine Homes?